RideZone strives for the highest quality photos possible. 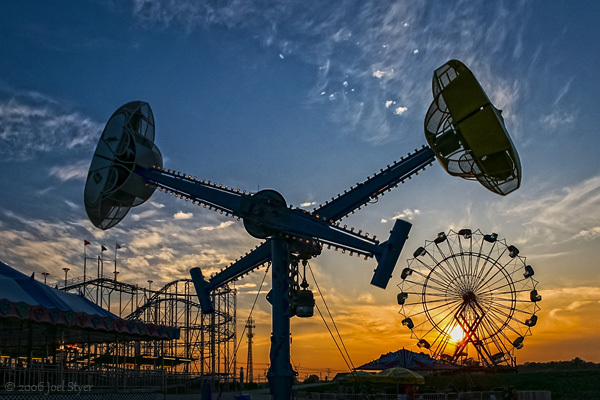 Photography from RideZone has been featured in books, magazines, newspapers, newsletters, trade shows, presentations, TV shows and countless web sites including those owned by the amusement parks. Permission to use or license most photos can usually be attained. Please see the photo page for additional information. All images used at RideZone are copyrighted. No image may be used without permission from the copyright owner. Contents © 1995-2013 Joel W Styer unless otherwise noted. All rights reserved. Please do not use any photos, images or content without permission. RideZone is not affiliated in any way with the companies, manufacturers or amusement parks listed at this site. Some graphics on this site are copyright by Corel Corporation and have been purchased for use. Some images and graphics have been purchased for use on this website and their ownership is noted.